Pennite® 4512 is a 12% glass reinforced type 6 nylon, designed for thermoforming. 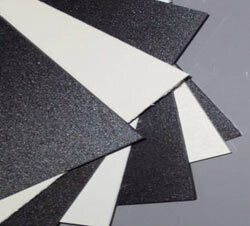 It has good heat sag resistance and is used in a variety of formed applications. Pennite® 4512 gives suppliers of automotive components the option to specify a thermoformable nylon of under hood automotive applications. Pennite® - is a Penn Fibre tradename for compounded sheet products.